All of the best and worst of Steve Bruce’s side was on display at Villa Park against Sheffield United. It’s just a shame that the ‘best’ was condensed into what in hindsight was a very brief 2-0 lead against a United side struggling for form and confidence. 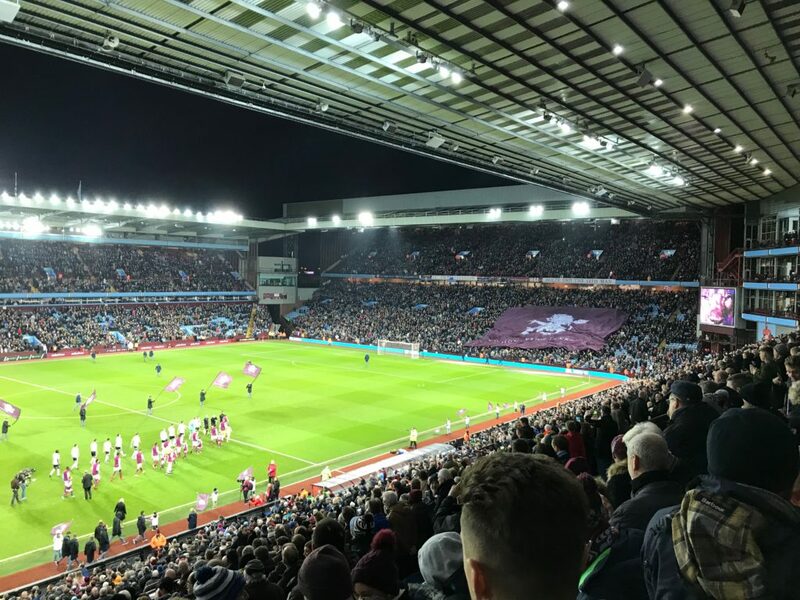 The remaining 81 minutes, particularly Villa’s first half collapse, underlined the shortcomings in an expensively assembled, poorly organised and hapless eleven. Yet, proceedings started so well. Davis was clumsily fouled in the open exchanges, gifting Albert Adomah a penalty which was despatched with ease. 1-0. Pleasingly, Villa briefly seized the initiative, sensing that the visitors were rocking in the opening exchanges. Snodgrass, dismal otherwise, delivered a great dead ball for Mile Jedinak to head home his first in a Villa shirt. And all was rosey with the world. The trouble with this Villa side, is that it’s compounded on two fronts. Firstly, you could rarely accuse us of operating consistently as a team. Too often we’ve been dependent upon individual qualities this term (think Adomah’s goals or Terry’s influence). Qualities that when they’re absent, expose our individual failings. Whilst individual failings are something that the manager cannot legislate for – decidedly dubious tactics fall very much in Bruce’s court. It’s this combination that saw Villa fortunate in getting a point against Millwall (0-0)– and get out-thought and over-run at Derby (2-0). The glaring example was the inclusion of the static Jedinak at centre half, an experiment that on this showing should be abandoned immediately and fired into deep space. The first Sheffield United goal saw Whelan gift the ball away, before a deep hopeful, lofted ball caught the Aussie Captain in no man’s land. Donaldson, the indifferent former Blues striker, brought the ball down before calmly lifting a finish over the stranded Johnstone. Cue Villa losing their minds, abandoning everything good they’d done in the game already, for desperate, floundering football. United’s equaliser predictably followed just minutes later. A seemingly harmless through ball was inexplicably missed by Jedinak, allowing Donaldson an un-opposed run on goal, before driving home his second low beyond Johnstone. 2-2. First 9 mins overshadowed by 81 mins of errors, hoofs and listless play. An emptied Holte End at full time speaks volumes. Whether you’re a Brumoaner or a Brumainer, the current Villa manager did little to help his cause with what then played out. In truth, it was a stagnant, dour and concerning game hereafter in which both sides appeared happy (or incapable) or getting any more than a point. Indeed, it served to underline both the limitations in the squad as well as a conservatism which see’s Villa’s form stagnate at a frighteningly similar juncture as to last seasons. Whilst the club is undoubtedly in better shape than last term sitting amongst the playoff hopefulls, we suddenly lack the momentum and cutting edge as key games come thick and fast. Further, we cannot find ourselves lurching desperately from fixture to fixture as we did to our downfall between Boxing Day 2016 to March 2017. The problems, for this blog at least, were glaring. The level of disorganisation visible on the pitch on more than one occasion suggested both communication and our ‘game management’ is clouded. We observed at least 3 formation changes across the 90 minutes, with 2 of the switches not being passed across the team either quickly or efficiently. This led to confusion and unnecessary in-play risk. The third incarnation saw Glenn Whelan wildly flailing his arms at the bench in bemusement whilst James Chester desperately queried the backline personnel and numbers amongst those who happened to be stood near him. These types of shortcomings are…amateurish. ‘One dimensional’ is often charge levelled at this Villa side repeatedly – and is a fair one on last night’s showing. Any number of times the ball was hoofed aimlessly into the opposition half, gifting possession away, inviting pressure and nullifying any hope of us building an attack. This after we’d seen that the visitors backline was far from beyond questioning in the opening minutes. Inconsistent individuals: For every important interception Whelan made, there was an errant pass. For every clever piece of Grealish movement there followed needless indecision. Hourihane, a player purchased to be the creative spark, never threatened a dangerous pass. Snodgrass, direct in his intent, is a ‘luxury’ that exposes our right flank at will. Adomah, whose goals are invaluable, has certainly been earmarked by every side we’ve played in recent weeks. Why remove Davis for runners Gabby & Hogan but not attempt to attach a channel with a through ball? As with most results, it’s the manner in which it’s reached that resonates. 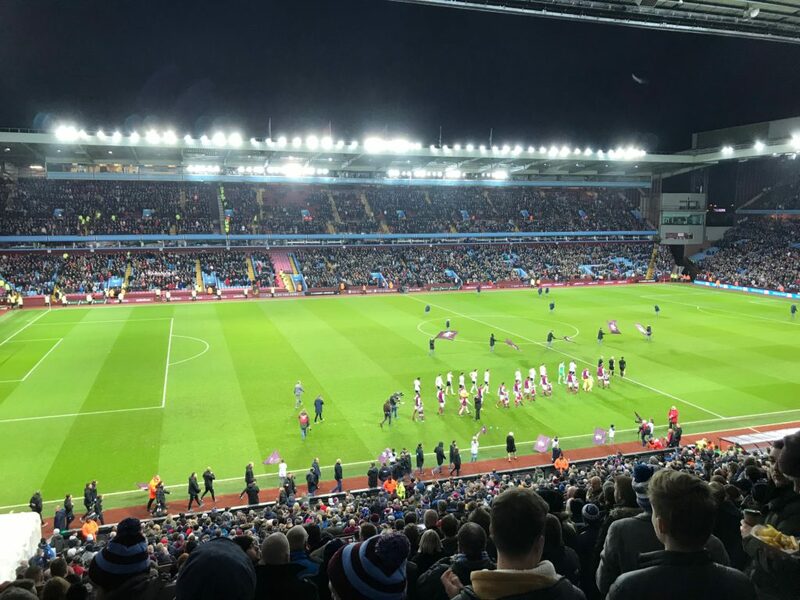 A 2-2 draw against playoff contenders might ordinarily be viewed as acceptable, but Sheffield United arrived at Villa Park in waning form and were 2-0 down inside 10 minutes. Villa’s failure to not see this fixture through to a convincing victory, with tricky tests on the road looming over the festive/New Year period may yet be telling. Bruce needs to urgently arrest the almost casual, pedestrian recurring theme this side appears to have slipped into. The players must realise or be reminded, that we should be challenging at the summit of this division, rather than hoping to arrive in the playoffs? The reactionary will call for Bruce’s head if Villa continue to stagnate – but this is not the view (yet) of The Villa Underground. We cannot be a Middlesbrough, who have parted with Monk after a win and whilst hot on our tails. We need stability, both in management and personnel, rather than further upheaval. However, we also need to wisen up. The myth that this division is full of great teams is just that, a myth. It’s full of different challenges, someof them ‘tough’ but we’ve realistically encountered few teams who have wowed or played a brand of football that could be considered truly ground-breaking. Watch: Aston Villa (1) v (3) Everton – Poor defeat, Protest & Anti-Lerner/Fox chants.